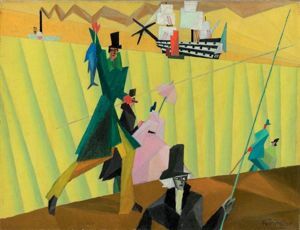 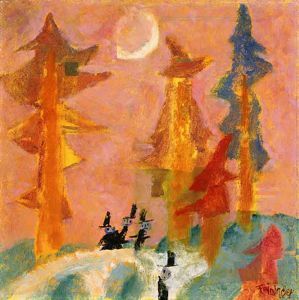 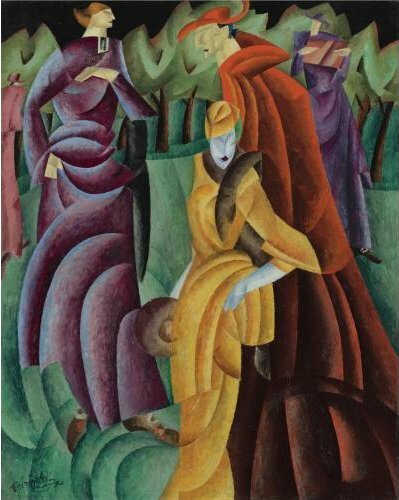 Lyonel Feininger was a German-American artist who became one of the best-known and admired contributors to the cubist and expressionist schools of art in the early 20th century. 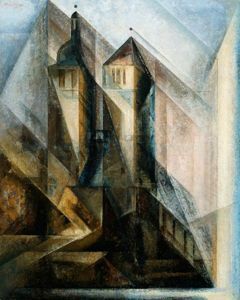 Feininger was one of the founders of the Bauhaus school of art and architecture, along with Walter Gropius. 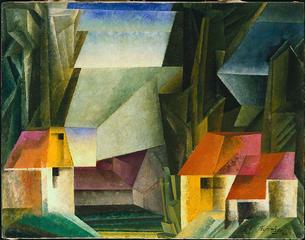 He taught at the school in Weimar and later at Dessau, until it was closed by the Nazis in 1933. 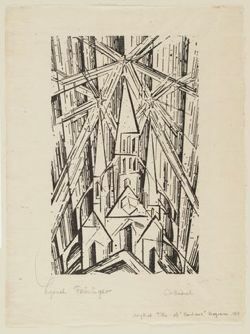 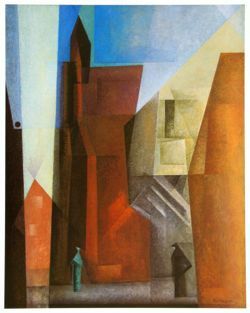 When Walter Gropius wrote the Bauhaus manifesto, Cathedral of Socialism, Lyonel Feininger created the cover illustration, a woodcut called "Cathedral", seen on the right. 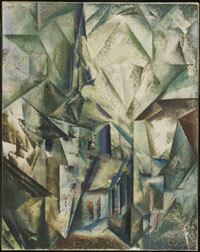 Feininger was also a member of the Blue Four group of expressionists, which included Paul Klee and Wassily Kandinsky. 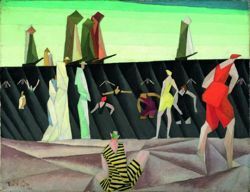 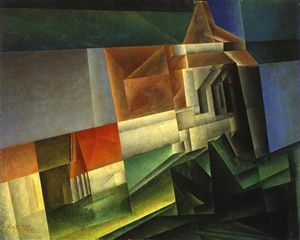 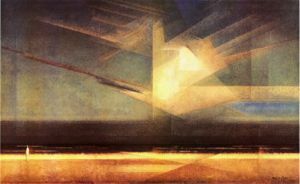 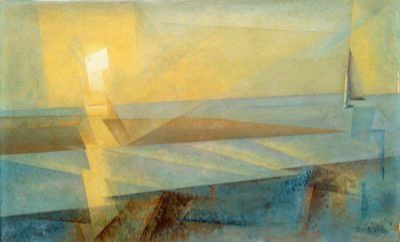 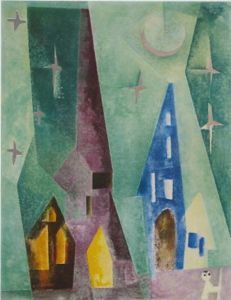 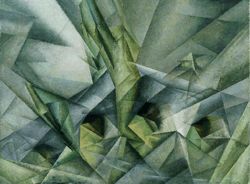 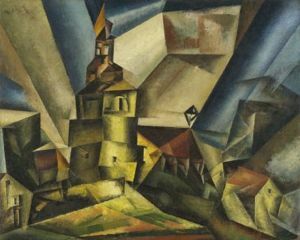 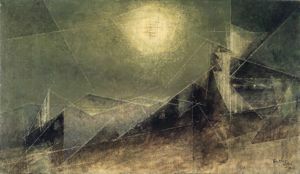 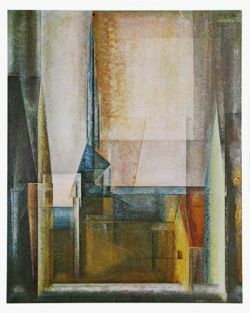 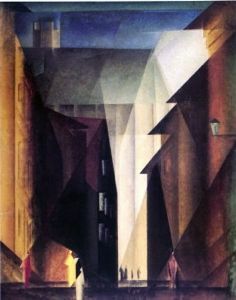 Many of Feininger's paintings show his distinctive style: angular planes of light intersecting and overlapping one another, often in muted, "industrial" shades. 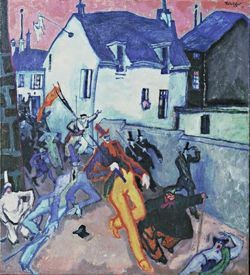 They seems to reflect a theme often showing up in the works of early 20th century expressionists: the sense of alienation felt by the individual in modern society. 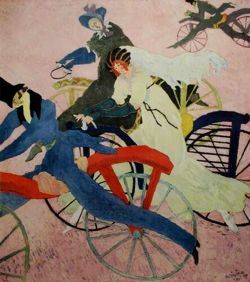 His earliest works have a lively, art nouveau look, which later shifts to a muted, impersonal style. 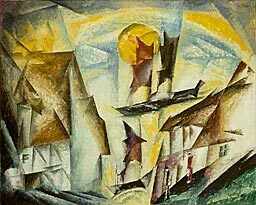 Lyonel Feininger was born in New York City in 1871 to a German father and a German-American mother. 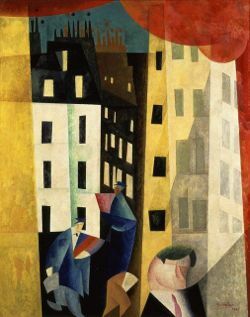 Both were accomplished musicians: his father, a violinist, and his mother, a singer. 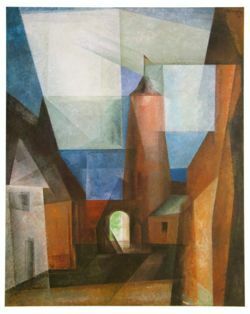 At sixteen, Lyonel was sent off to the Leipzig Music Conservatory to study music, but ended up taking classes at the Hamburg School of Art instead. 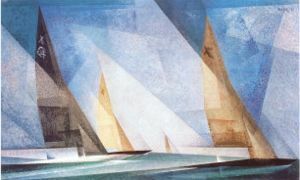 For twenty years, Feininger worked as an illustrator and cartoonist for newspapers and magazines, both in Germany and the United States. 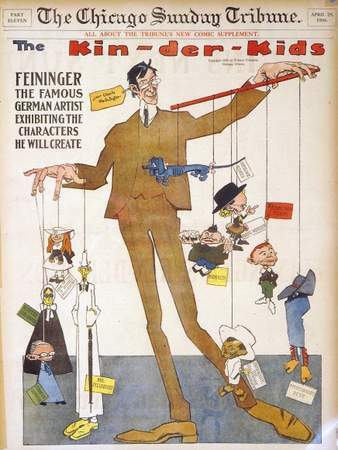 In 1906, the Chicago Tribune hired him to draw cartoons for two comic strips: The Kin-Der-Kids and Wee Willie Winkie's World. 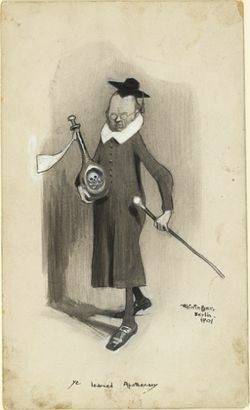 The Kin-Der-Kids was intended to compete with the popular Katzenjammer Kids comic strip. 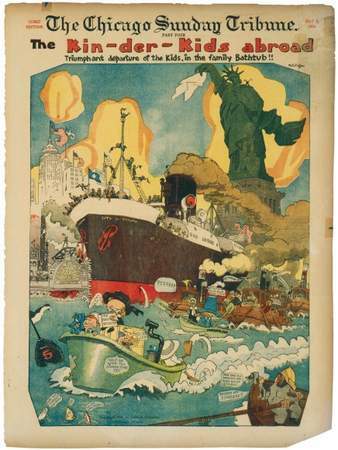 The story revolved around the adventures of the Kids, who traveled through the world in a bathtub while avoiding their Auntie Jim-Jam and her castor oil. 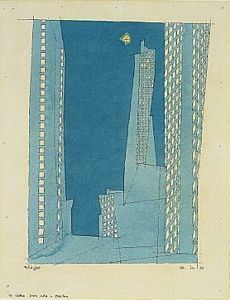 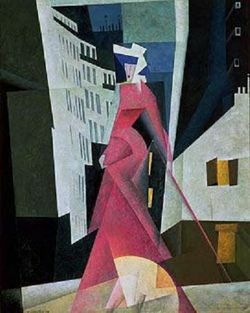 The drawing style was novel and Feininger was one of the first cartoonists to put speech in a bubble. 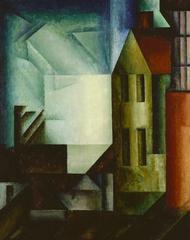 The contract was canceled after nine months when Feininger refused to relocate to America. 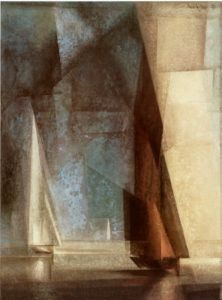 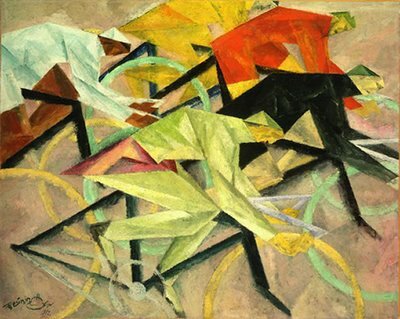 Lyonel Feininger started doing "serious" art at the age of 36 in 1907, beginning with sketches and watercolors. 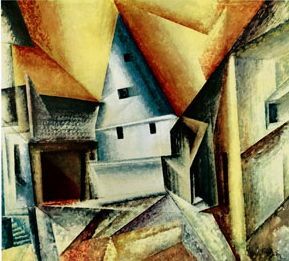 Many of these were of Weimar and the surrounding villages, which he saw when he was visiting his girlfriend, an art student in Weimar. 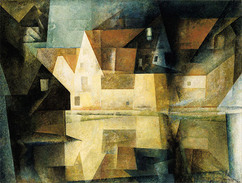 One of the towns, Gelmenroda, appears frequently in his sketches and later in his paintings. 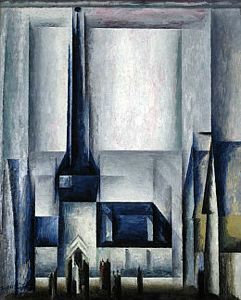 Gelmenroda was the subject of his first oil painting. 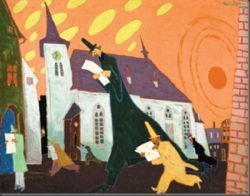 When World War I started, he had a difficult time living in Germany as an American; he moved to the Harz Mountains with his family and began creating prints from wood cuts. 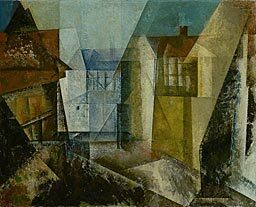 When the Nazis came to power in 1933, Lyonel Feininger's work was declared "Degenerate Art", or "Entartete Kunst". 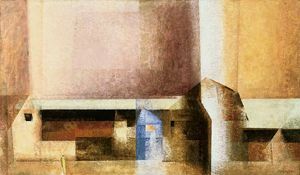 The Bauhaus school was closed by the authorities as well. 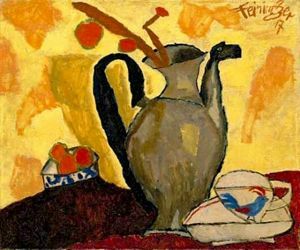 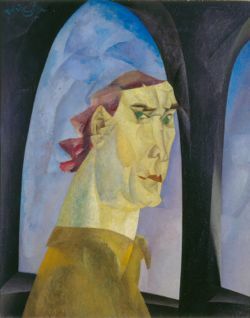 400 of his works were seized by the Ministry of Propaganda and some 17 were included in various exhibitions of Degenerate Art held in 1936 and 1937. 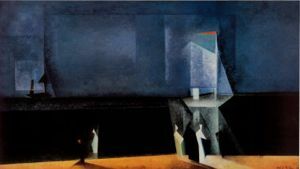 Because of the artistic climate and his wife's Jewish ancestry, Feininger left Germany in 1937 and settled permanently in New York City. 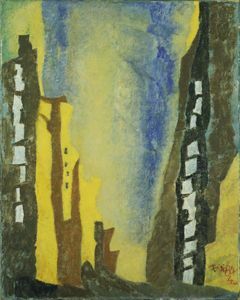 He continued with his art in New York until his death in 1956 at the age of 84. 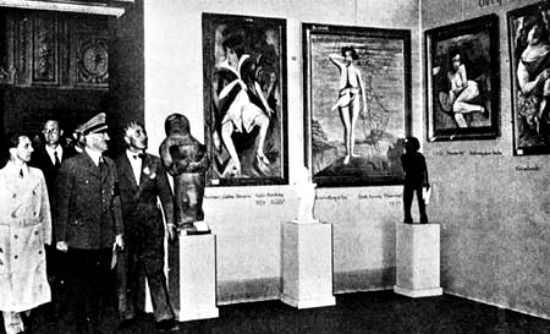 The works below are presented chronologically. 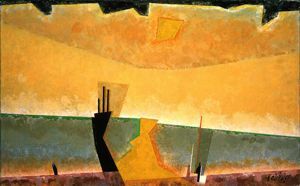 You can see a progression from the representational, colorful, almost cartoon-like drawings to his characteristic abstract, somber style. 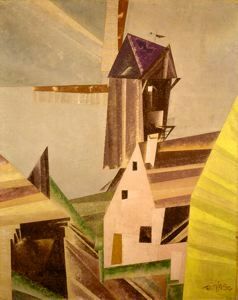 Currier Museum of Art, N.H. 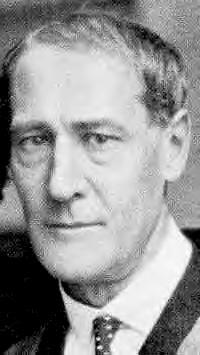 Some dates and locations I wasn't able to find. 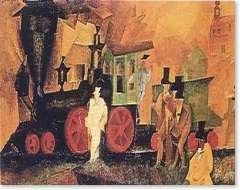 The images are used in accordance with the U.S. Fair Use Copyright Law: commentary on works, small images files. 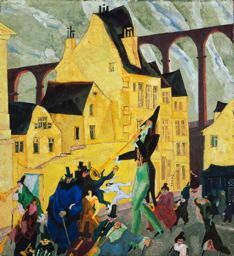 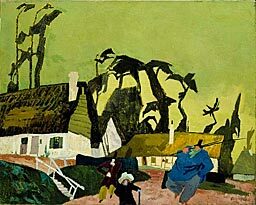 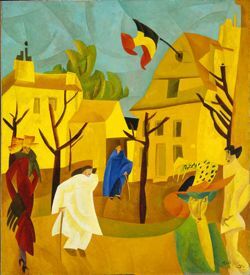 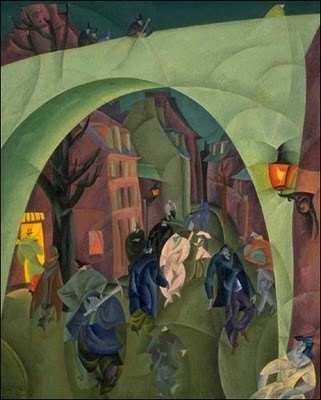 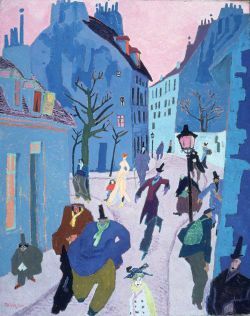 See list of galleries with Lyonel Feininger's works.